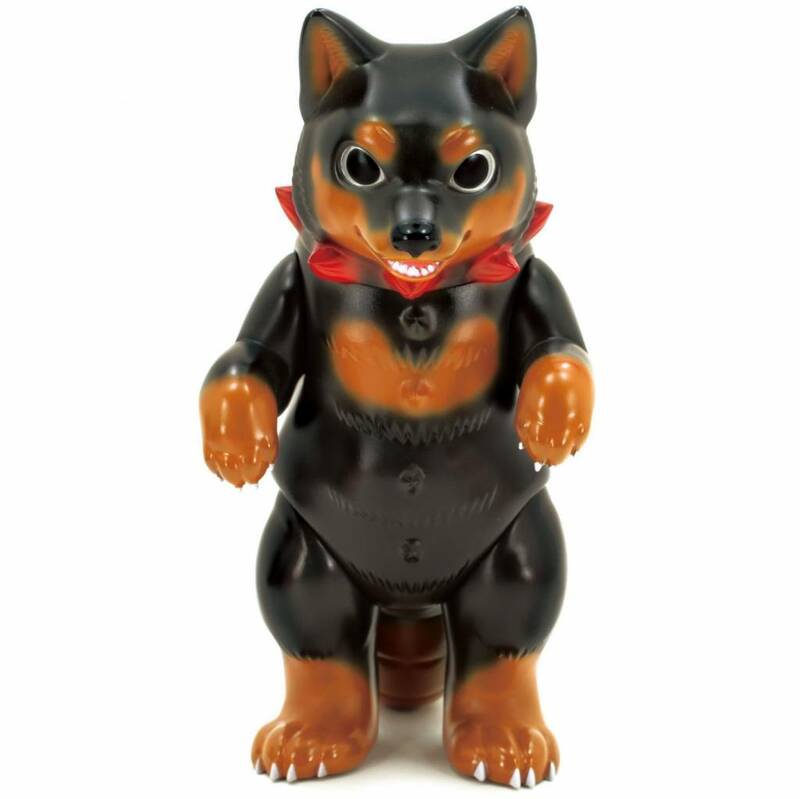 This is Daioh Shibara (Doberman), designed by Konatsu. Presenting Daioh Shibara from Japanese artist Konatsu! This big, bad, Doberman monster is ready to protect you from all kinds of evildoings! This Doberman is black with brown highlights, silver spikes on his back, red spikes around the neck, and a cute curly tail! Packaged in a bag and header card. 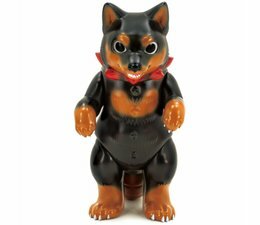 The Daioh Shibara (Doberman) by Konatsu is a limited edition.